Government must borrow funds to build schools, hospitals, mass houses, roads, water dams, electricity power plants and other projects that are backbone for economic development, if its budget is in deficit. Likewise, corporate entities borrow funds to finance expansion, replaced or upgrade equipment. The traditional long-term source of funds is usually bond issue – an interest-based debt. A conventional bond is a contractual debt obligation, an “I owe you” whereby the issuer is contractually obliged to pay interest and principal to bond holders, on a certain specified date. One of the common factor in Government and corporate bond is payment of interest. However, there is an alternative to interest-based bond, which is Sukuk. 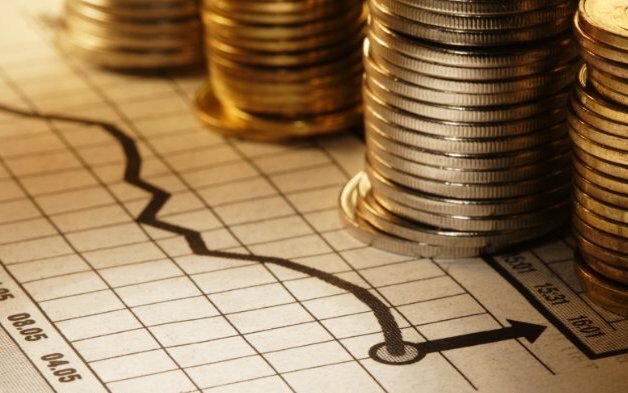 Sukuk is popularly known as Non-interest bond or Islamic bond. It is a certificate of equal value evidencing ownership in real asset, usufruct or business venture. Unlike conventional bond where the bond holder has no legal or beneficial right over the asset constructed from the bond proceeds, Sukuk evidence legal ownership in the project or asset that is financed with the proceeds. Thus, no interest is paid but return in form of profit or rental depending on the contract used. With Sukuk, the Federal Government and its agencies, the subnational bodies (State Governments and their agencies), Supranational Corporations and Public Companies can access the capital market to raise fund for either infrastructure projects or expansion programs via Islamic financial contract such as partnership, lease or sale arrangement. Sukuk is an alternative to interest-based bond and is popularly known as non-interest bond or Islamic bond. Malaysia has become the leading corporate and public issuer of sukuk in the world accounting for an average of 60 per cent of annual issuance. The issuance of modern Sukuk started in 1990 by multinational Shell MDS which issued a Sukuk Ijarah worth RM 125 million in Malaysia. Today, with integrated financial system and encouraging regulatory framework, Malaysia has become the leading corporate and public issuer of Sukuk in the world accounting for an average of 60% of annual issuance. The Accounting and Auditing Organisation for Islamic Financial Institutions (AAOIFI), a standard setting institution based in Bahrain describes fourteen (14) different Sukuk structures which are designed on the basis of Islamic financial contracts such as Musharaka, Mudaraba, Ijarah, Murabaha, Istisna’, Salam and so on. Gradually, Sukuk is growing in popularity and is fast becoming an acceptable financial instrument around the world as an innovative way to raise funds for various infrastructural projects, business expansion, and increased competitiveness, which attracts ethical and creative investors worldwide. It is now an acceptable instrument not only in the Muslim dominated countries but also in Europe and USA. In 2004, Saxony Anhalt, a federal state of Germany issued Ijara (lease) Sukuk of Euro 100 Million. World Bank through its affiliate, the International Finance Corporation (“IFC”), issued its first Sukuk in 2004 for USD 132 million followed by IFC Hilal Sukuk in 2009 for USD 100 million. Other major Sukuk issuances in US are the East Cameron Gas USD 165 million Sukuk issued in June 2006, which was the first Musharaka (partnership) Sukuk in America backed by oil and gas assets and the General Electric USD 500 million Sukuk, which is an Ijarah Sukuk backed by aircraft leases. In June 2014, UK issued a Sovereign Sukuk of GBP 200 million structured as Ijarah Sukuk backed by landed properties belonging to the office of Secretary of State for Communities and Local Government. The Sukuk was profoundly oversubscribed by investors in the UK, Middle East and Asia, attracting orders of GBP 2.3 billion – over 11 times of the total amount offered. The Sukuk issues are listed on the stock exchanges around the world for trading. The major stock exchanges that attract Sukuk listing are London Stock Exchange, Bursa Malaysia, Luxembourg Stock Exchange and Irish Stock Exchange. Others are Nasdaq Dubai, Hong Kong Stock Exchange and Saudi Stock Exchange amongst others. denominated Islamic bonds in Malaysia. African countries are not left behind as Sudan Sukuk issuances have been in the international scene. Senegal issued a four-year USD 168 million Sukuk in June 2014 while South Africa launched a USD 500 million 5.75-year Sukuk in September 2014. In Nigeria, the capital market apex regulatory body – Securities and Exchange Commission has provided legal backing in 2013 by establishing rules regulating Sukuk issuance pursuant to the Investments and Securities Act. As such, State Government of Osun has issued NGN 11.4 billion Sukuk Ijara in October 2013 for construction of 27 high, middle and elementary schools within the State. The Osun Sukuk was listed on the floor of the Nigerian Stock Exchange and FMDQ OTC platform for trading. Sukuk is always tied to an asset, which make its Value at Risk (VaR) rate lower than general purpose conventional bond. Hence, it is an attractive financial instrument which is favoured by all categories of investors including conventional bond investors such as pension fund administrators, insurance companies, banks and others. It is also an instrument that has no boundary in terms of attracting foreign direct investment. With current decline of revenue to Government and huge budget deficit, both national federal and sub-national Governments need to raise funds for infrastructure via alternative sources such as Sukuk. The Federal Government of Nigeria has a budget deficit of 2.2 trillion which is expected to be funded with local and foreign debt. Virtually all State Governments have budget deficit and some are in need of bailout from the Federal Government to cater for their recurrent expenditure. For local debt, Government can issue Sukuk in place of conventional bond to finance the deficit on project-linked financing. Sukuk can be structured to pay for itself from the cash flow generated by the project, hence provide more room and flexibility on Government meagre revenue. The Sukuk issuance can be directly from the Government or its agencies. To issue Sukuk, the issuer needs to have physical assets either in existence or to be constructed which the Sukuk backs. With infrastructure need and infrastructure financing gap in Nigeria, Sukuk is arguably a watershed opportunity for financing such projects. Our government needs to wake up from deep slumber in order to face reality – infrastructure finance gap which can be solved via alternative sources of fund.